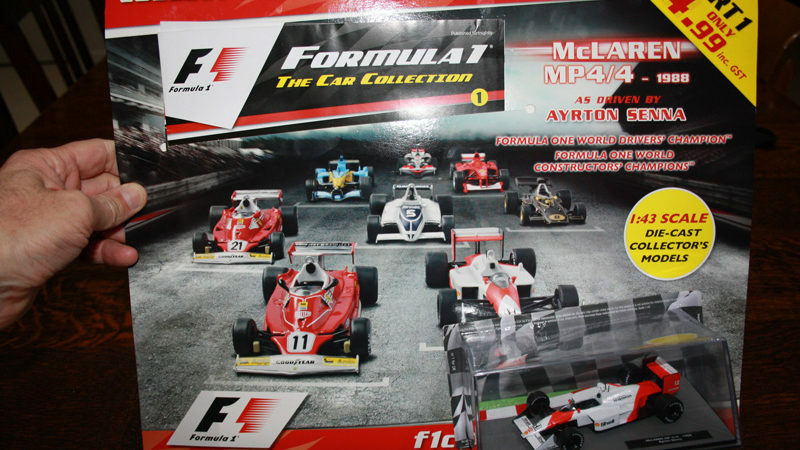 The Panini F1 model car collection is now available in Australia, issue 1 hitting the newsagents recently with the 1988 McLaren MP4/4 of Ayrton Senna attached. What’s the model like? From a distance, it looks okay. But in reality, these are basic entry-level models at an attractive price. 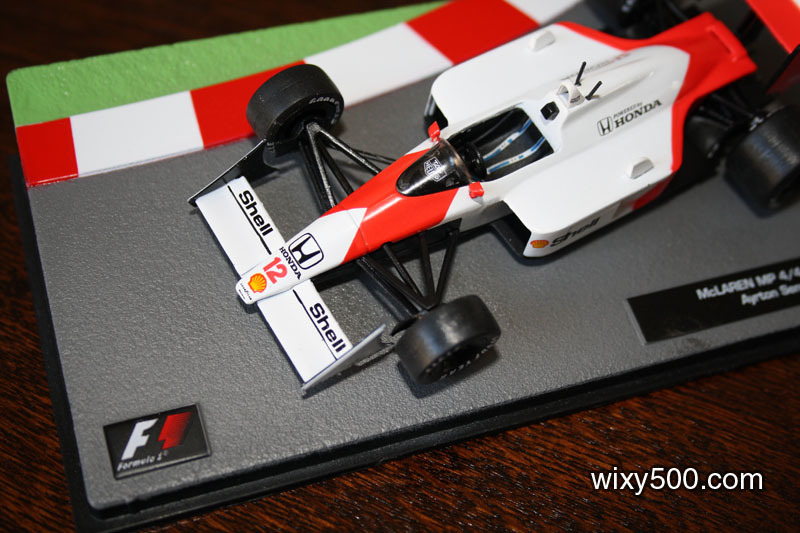 If you wanted a collection of iconic F1 cars, but didn’t want to pay Minichamps/Spark prices, this could certainly do the job. Check out the review video and pics below! Above: The UK television advert, which is actually quite misleading – that looks like a high-end 1:18 scale Mercedes in the opening seconds! 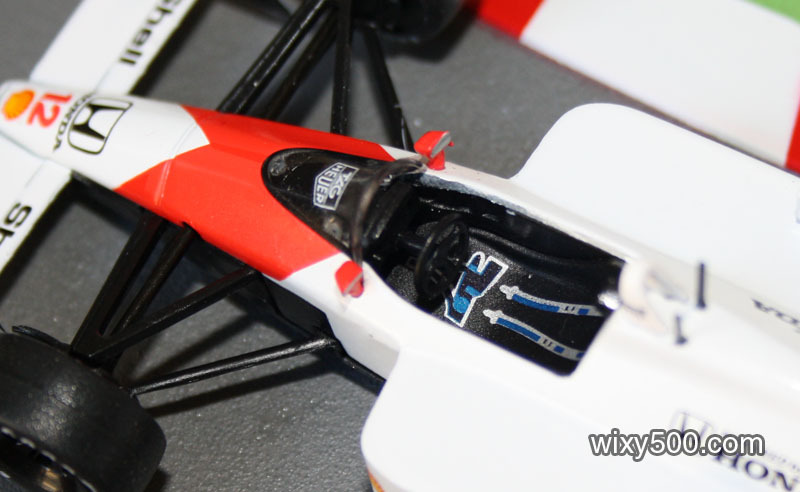 The model has basic cockpit detail. No room for a driver – the steering wheel is touching the seat. 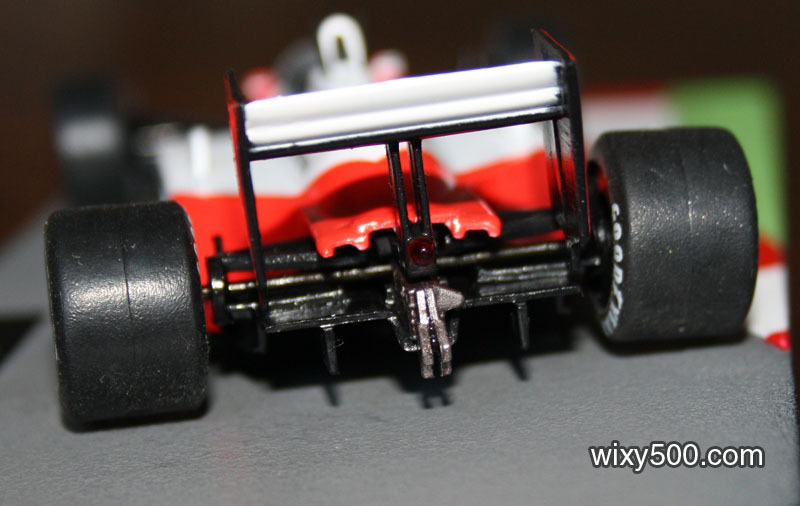 Lower wishbones of the rear suspension are molded into the undertray. Fluro bodywork should extend further back. Update: Seems the order of release can be different from one country to the next, so use this as a guide only. 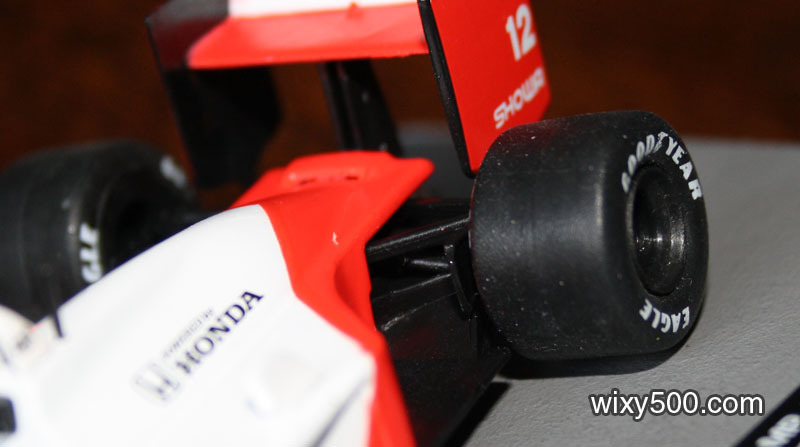 Others spotted in Europe – Toro Roso STR3, Williams FW19, Sauber C23, Renault RS10, McLaren MP4/14, Lotus 79, Ferrari F399, Ferrari 375 Indy, Brabham BT52, Alfa Romeo 179, Lotus 97T, Ligier JS11, Ferrari SF15-T, Hesketh 308B. 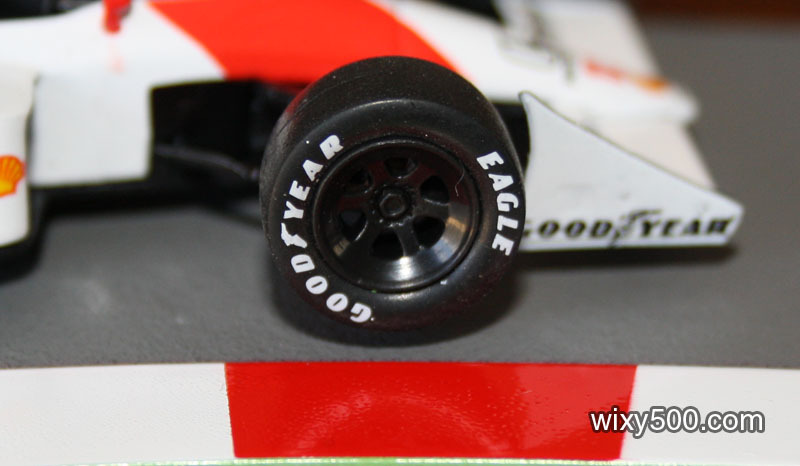 A solid front axle is set to be standard fare for this series. 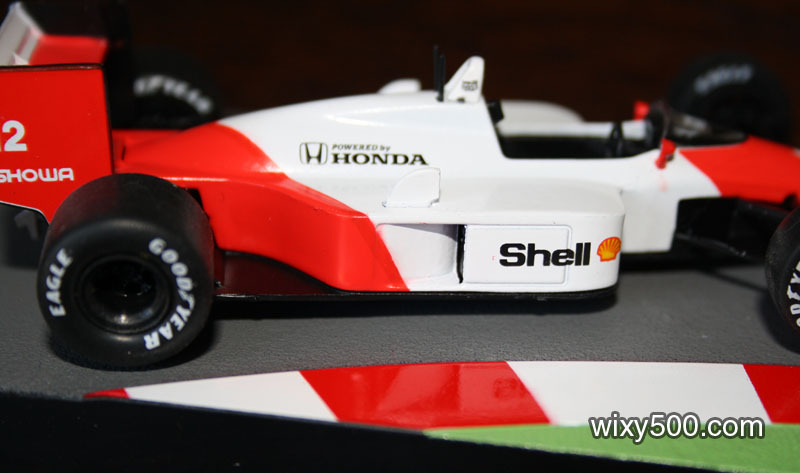 The MP4/4 can almost get away with it. Turbo inlet openings need to be blackened. Overall shape, however, looks pretty good. 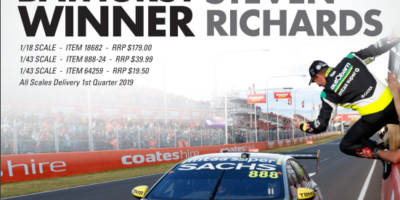 Classics win Bathurst! 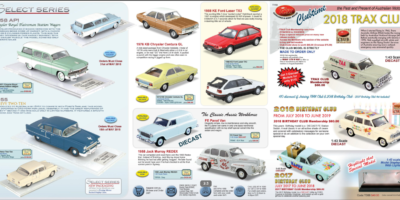 Download the latest catalogues of new model announcements from Classic Carlectables and Top Gear/Trax. Top Gear (Trax) has released a couple of new offerings in the latest newsletter – Chrysler Royal Plainsman Station Wagon, KE Ford Laser TX3 and ’55 Chev.